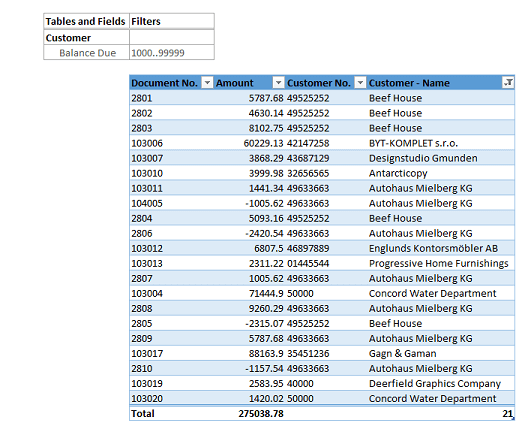 The Jet Table Builder helps you to insert an NL("Table") function in your workbook. This creates an Excel table (from one or more database tables) which can be used as the basis for pivot tables and charts. 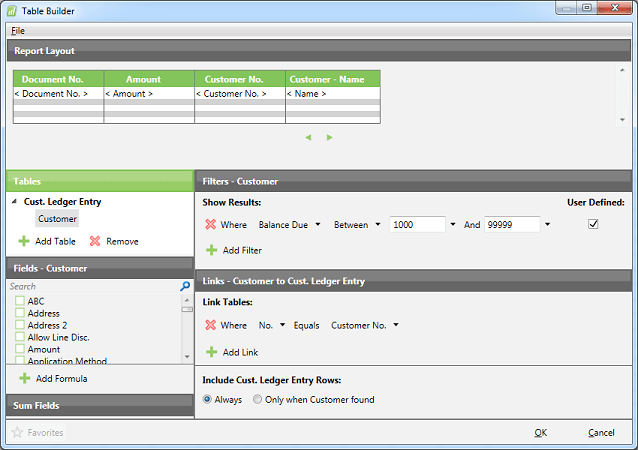 The Table Builder provides an interface which allows for easy table, field, and filter selections.